I recently got to try some awesome cream perfumes and lotions from The Cream Perfume Company. They have some really great stuff! All of their products are organic and natural, which I love. They have tons of solid fragrances, which come in a little container, kind of like a lip gloss. They are really cool, and much better than carrying a giant body spray in my bag! They have a scent for everyone! 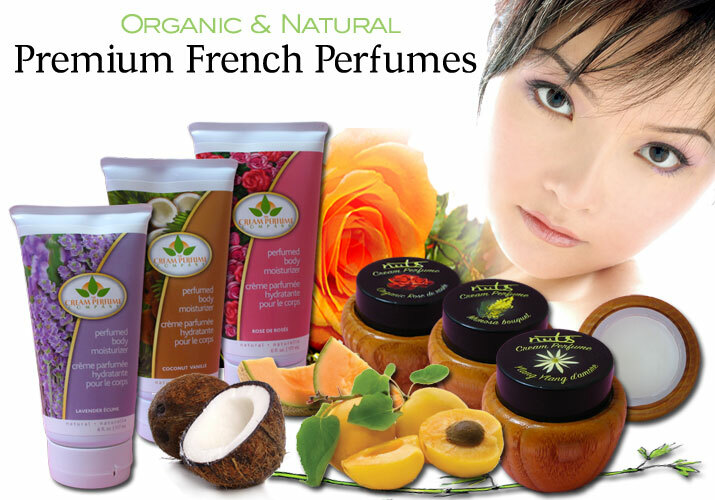 The Cream Perfume Company also carries a variety of lotions. I received the Rose, Lavender, and a Coconut in the travel size. I loved them all, especially the coconut, it's my favorite scent! Thanks Cream Perfume Co. Peeps for the awesome perfumes & lotions to try! Mandatory Entry: Go here and pick what you would want if you win, then come back here and tell me. Simple as that! For FIVE extra entries: Blog about this giveaway, post it on your facebook, whatever, and include a link back here. Comment five time and leave me a link where I can find your post. *disclosure, i received free products in order to conduct my review, but no other compensation was given. All opinions are mine and mine alone. i want to try the Lavender Body Moisturizer. I would love to try the Melon d'eau Solid Fragrance-sounds like a lovely scent. Ooo how cool. :) I am really liking the Melon d'eau solid perfume. Yum! Thanks! I would love to try the Vanilla Reve creme perfume. I'd like to try out the Coconut Body Moisturizer! Jasmine Floriental solid. Sounds awesome. the organic vanilla would be great to win. the organic vanilla would be great. i would choose the Coconut Body Moisturizer . I would love to try their organic Rose de Rosee Solid Perfume. id love the ORGANIC Raspberry des champs! I'd love the ORGANIC Vanilla rêve solid fragrance. I'm a new google follower. Thank you! I would choose the Havana Nights Mango poudré solid fragrance. I'd love to try the ORGANIC Rose de rosée. I'd love to have some of their Rose Body Moisturizer. I would choose ORGANIC Vanilla rêve. I'd really like the Rose Body Moisturizer. 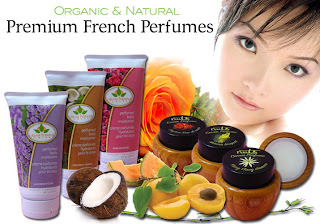 I would love to try the ORGANIC Vanilla rêve. oops I forgot my email, so lets try this again. I would love the Rose Body Moisturizer. i'd like to try the melon d'eau solid perfume! Jasmine Floriental, this sounds like a fresh scent...always love trying new products. I would love to try the Melon d'eau Solid Fragrance. What wonderful products. I'd love to try the ORGANIC Vanilla rêve. Mimosa bouquet would be awesome.